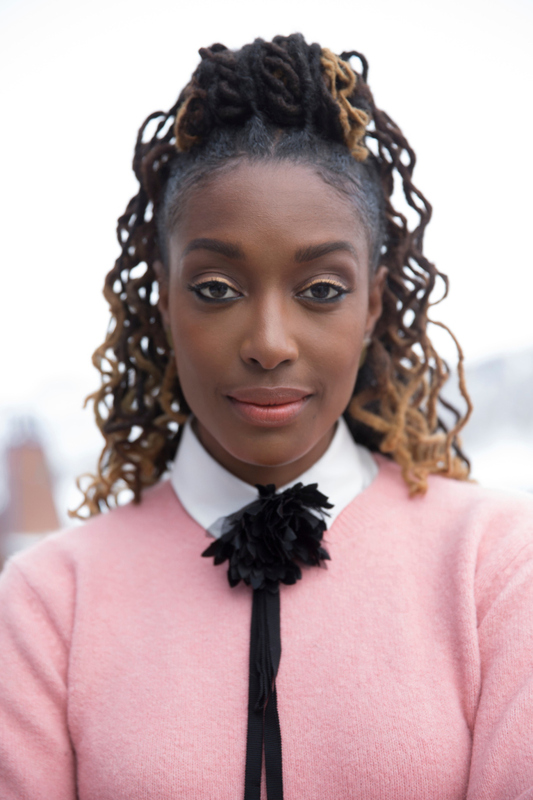 Franchesca Ramsey, the performer, co-writer and executive producer of the digital comedic culture series, ‘Franchesca,’ which premiered at the 2018 Sundance Film Festival. Ramsey served as the lead performer, co-writer and executive producer on ‘Franchesca,’ which was co-written, directed and produced by Kaitlin Fontana. The docu-series held its premiere during the inaugural Indie Episodic section at this year’s Sundance Film Festival in Park City, Utah. ‘Franchesca’ follows the title media personality as she explores the hidden meanings behind her favorite fashion trends, styles and rituals. Each episode featurem Ramsey, along with a fierce and funny celebrity guest, as they pursue the latest beauty recommendations with curiosity, authenticity and humor. During the afternoon ‘Franchesca’ had its premiere at the Sundance Film Festival, Ramsey and Fontana generously took the time to sit down for an exclusive interview at the Grey Goose Blue Door lounge in Park City. Among other things, the duo discussed that they were drawn to film the show because they wanted to showcase an extended version of Ramsey’s work in both the fashion and activism worlds. They both also shared that the experience of bringing their debut project to Sundance was a fulfilling one, as the audience excitingly and positively responded to the series. Ultimately, Ramsey and Fontana decided to focus on beauty and fashion in their docu-series. “That’s such a great place to visit with Franchesca, because she’s so engaged in, and passionate about, that world. We both saw that no one else is really talking about these subjects in a real and passionate way,” the director pointed out. Fontana then delved into the reason why she decided to helm the series, and described her helming style. “This is my directorial debut on a real project with a budget and crew. But I’ve done a lot (of directing) in the sketch comedy space; I’ve directed about 40 sketches over the years for various people. What I was able to take away from those experiences was the ability to do things very quickly without a lot of money, and to cut to the heart of something,” the helmer divulged.